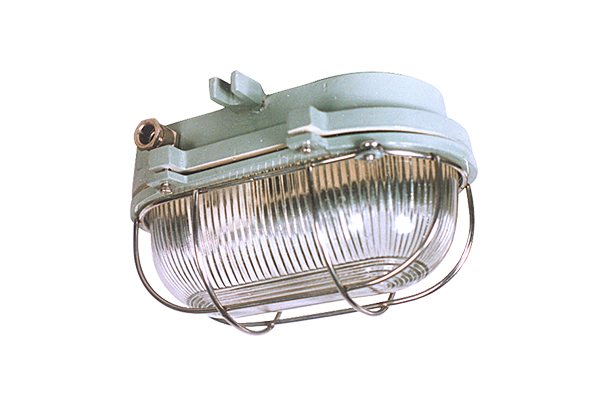 1101 Cast Aluminium body bulkhead fitting with clear glass and protective MS wire guard. Porcelain BC lamp holder with 2 way connector. 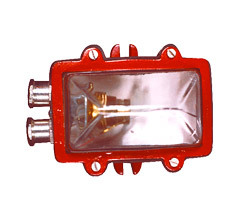 Suitable up to 60W. lamp. 1142 Same as per 1141 - not hinged type. Aluminium cover fix up with 4 nos. of screws. 2 nos. Cable entries opposite side with brass cable glands. 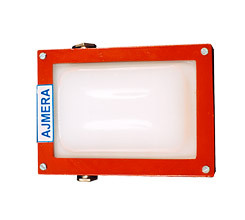 Suitable up to 100W lamp. 1342 --do-- cast Brass body. 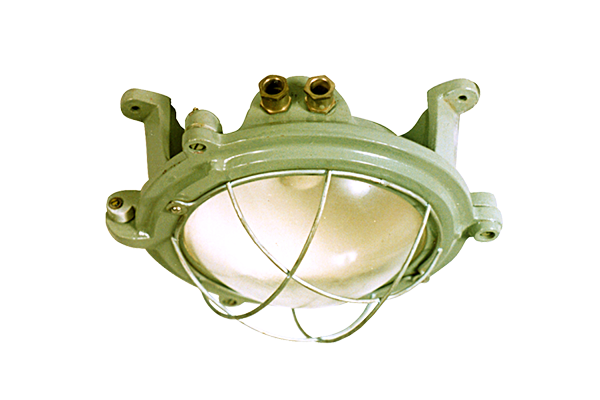 1112 Cast Aluminium body round shape bulkhead fitting with Aluminium hinged cover and locking arrangement. Clear glass and MS protective wire guard. BC porcelain lamp holder with 2 way connector. 2 nos. cable entries. 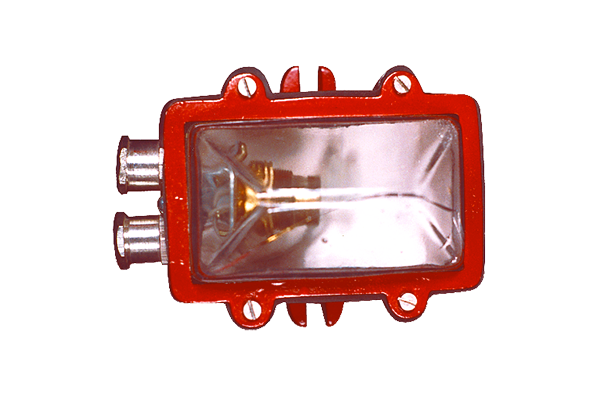 Suitable for 60W lamp. 1113 Same as per 1102 - suitable for 200W. lamp. 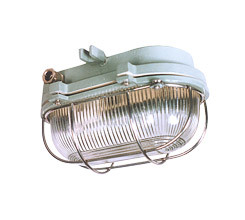 1144 Cast Aluminium body emergency use bulkhead light fitting with clear glass and Aluminium body frame. Brass SBC lamp holder for 25W. 24V. lamp. 2 nos. Cable entries with plastic cable glands. 1344 --do-- cast Brass body. 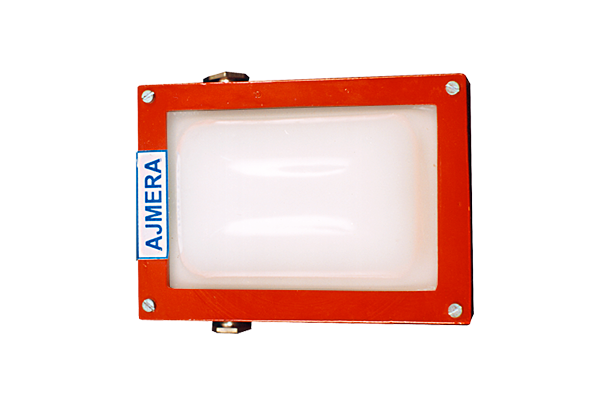 1146 Cast Aluminium body with Aluminium frame with opal acrylic shade. Decorative type. 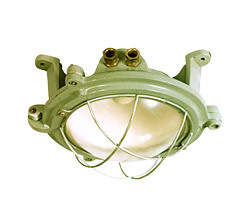 fitting with Brass SBC lamp holder for up to 25W lamp. Mainly in emergency use. 2 nos. Cable entries with 2 nos. Brass cable glands. 1346 --do-- cast Brass body.